The recent Higher Education Authority analysis of completion rates offers many grounds for congratulation among undergraduate students: overall the figures compare well with international benchmarks. But they raise some important issues, especially given relatively higher dropout rates in institutes of technology and in IT courses. 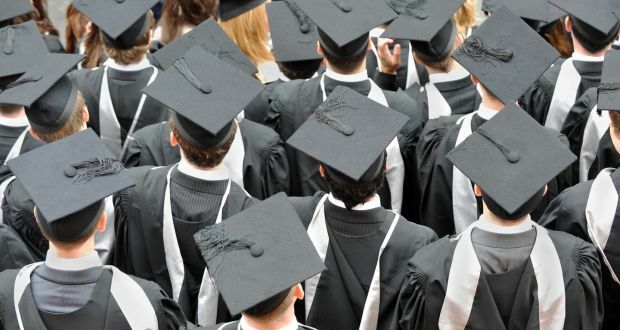 The Irish National Employer Survey shows overall satisfaction levels with the quality of higher education graduates at 86 per cent , and further education graduates at 84 per cent. So, on the evidence students who complete further and higher education are seen by employers as high-quality employees. We could be happy with that and carry on as we are. But expectations that expansion of further and higher education would on its own improve social inclusion and mobility are widely questioned. How can we do better, for those who access no post-secondary education (approximately 20 per cent of school leavers); those who find the going too difficult and drop out, and those adults who need a second chance or who want to improve their skill base. We could also pause our complacency long enough to ask how fit for purpose is our education and training system for a work environment that is rapidly changing, rendering skills gained today obsolete in a short space of time. According to the OECD, three ongoing mega-trends have the potential of significantly altering the nature of work: globalisation, technological progress, and demographic change. Together, these trends are likely to bring many positive effects for workers and societies. But, in the view of the OECD, without adequate systems of education and training, these trends could make it harder to provide employment opportunities for the large number of people entering the labour market, or requiring reskilling to find good jobs and fulfilling lives. The implications of failure include economic decline and a growing pool of disaffected people in our societies, alienated from the system of government and society. The Irish post-secondary education and training system stands front and centre in our response to the changing nature of work. Overall, the system has delivered much success in recent decades for our society and economy, and continues to do so. However, it is based on allowing each part of the system to carve out distinctive and separate educational pathways and even sometimes competing for students. It is also a system already struggling with the demands of mass higher education and for lifelong learning; the demand from the Government and students for better alignment between education and training and the skills needs of the economy; and the over-arching issues of affordability and sustainability. Below the institutes come apprenticeships and further education. It is high time to call out this hierarchy for what it is – snobbery! In reality, each of these sectors has an important place in our post second level education and training system; each contributes in its own unique way to the success of our economy and society and students and their parents would be better served looking to what best suits the student, her interests and his competences at her or his time in life rather than shoe-horning them into institutions and programmes for which they are ill suited but which carry a social cachet. This unhealthy hierarchical view of our post-secondary education and training system is strongly influenced by a sense among students and parents that it’s a once in a lifetime decision. It is not, but the view is reinforced by the strict stratification of the system, with poor connectivity between and across the universities, institutes of technology, further education and apprenticeships. The latter carry a cautionary tale. From an education viewpoint an apprenticeship was a dead end with no linkages to further or higher education. When the construction industry collapsed so many men had no education or training avenue to build on their expertise. That is changing with the new apprenticeship model being steered by Solas. Reform A key reform of the system has to be much more permeability within and across the various providers and levels so that a person taking a further education course can see her way clearly to doctoral studies, if that’s what she ultimately wants. A reformed apprenticeship system, combined with the creation of Solas and the education and training boards, offer enormous opportunities for a more effective post-secondary education and training system. But success is dependent on adopting a system approach, integrating these developments with higher education to broaden entry routes so that further and higher education will be effectively seamless. In terms of structures to support such a system, Government should consider bringing the entire post second level system under a single funding and regulatory agency – a merged Solas and HEA. New Zealand and Scotland offer interesting models.